Ryon Baxter is a filmmaker from Sonoma, CA. He wrote, directed and edited the short "Heroic Dose", and wrote the TV mini-series "Stuk". 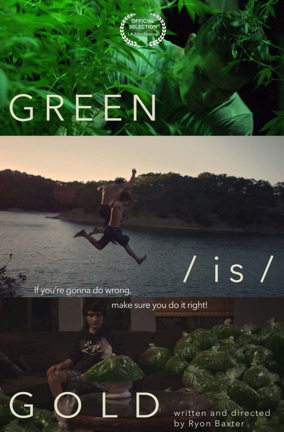 "Green/Is/Gold" is Baxter's first feature film and had its world premiere at the LA Film Festival, where it won the Audience Award for Fiction Feature Film.